For those of you who visit regularly, this blog seems rather quiet. And there’s a reason for that. My wife gave birth to our firstborn last week and both he and she had a bit of a rough time. Thankfully, things are better now, for both of them. As you might imagine, my priority was and will remain focused with them. Now that things are easing up a bit, I should be able to post again a bit more regularly. That said, writing remains priority number three, after my wife & son. The blog posts are on the list somewhere after work. As far as writing goes, I’m mid-way through The Shattered Empire and have completed the final edits of Echo of the High Kings. I’m waiting on a cover and some maps/artwork for Echo of the High Kings and have to do a thorough copy-edit/formatting edit to prep it for publishing. As I’ve stated previously, my goal is to have The Shattered Empire out in fall of 2014. Echo of the High Kings is on track for August 2014. My next writing project after The Shattered Empire will be Renegades: Out of the Cold, which will be a compendium of novellas and short stories much like Renegades: Origins. That’s all the updates, for now. Check back for new stuff over the next few days. Assuming anyone’s interested, I could even post (rough) samples of The Shattered Empire. There once was a movie called Groundhog’s Day. 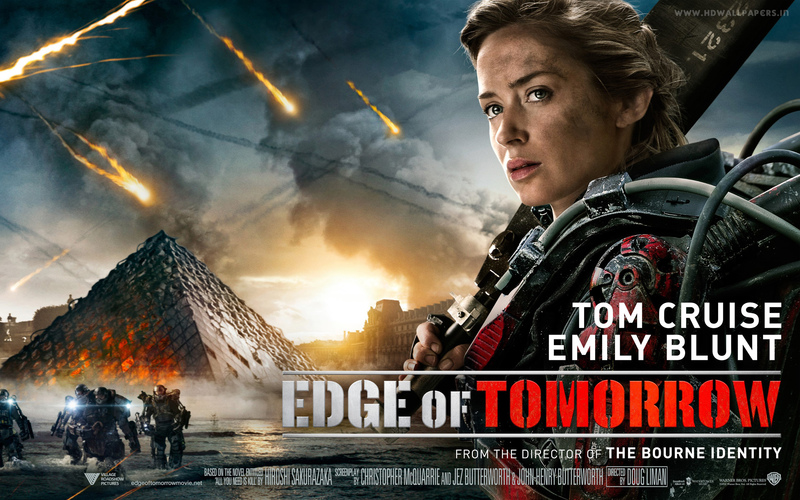 Edge of Tomorrow is sort of like if you took that movie, combined it with Starship Troopers (the book, not the movie) and put Tom Cruise in there to get murdered. (I don’t think that’s a spoiler, it’s revealed in the trailers and posters). It makes for an interesting movie, to say the least. The basic premise is established, the characters are real enough to be entertaining, and, by the end, we’re left with enough tension that victory does not seem assured. The movie had some good special effects and some fantastic conceptual items. I would probably complain that the powered suits don’t have better armor (or even armor that stops anything) and that most of them seem to be armed with light caliber weapons that don’t really do much (if anything) to the enemy. Then again, being armed with a pathetic weapon against an almost unstoppable enemy makes for an underdog you can root for. As for characterization, much as in Groundhog Day, there is a transition for the main character over each iteration of the terrible day. I particularly liked this transition, but I’ll avoid giving spoilers as far as the movie at this point. I will say that the most entertaining part of this movie, at the start, was watching Tom Cruise die. In fact, some of the best parts of the movie were him dying, not the action scenes, but the humorous (and often painful) demises he received. The story wasn’t terribly original, but it was at least coherent, with a specific goal and actual stakes for the hero to struggle for. I will say there were a couple times in the movie where they did good in reversing what the audience expected. On the bad, there were a couple sequences where things were a bit repetitive. As far as actors, Bill Paxton had a great role and was highly entertaining. 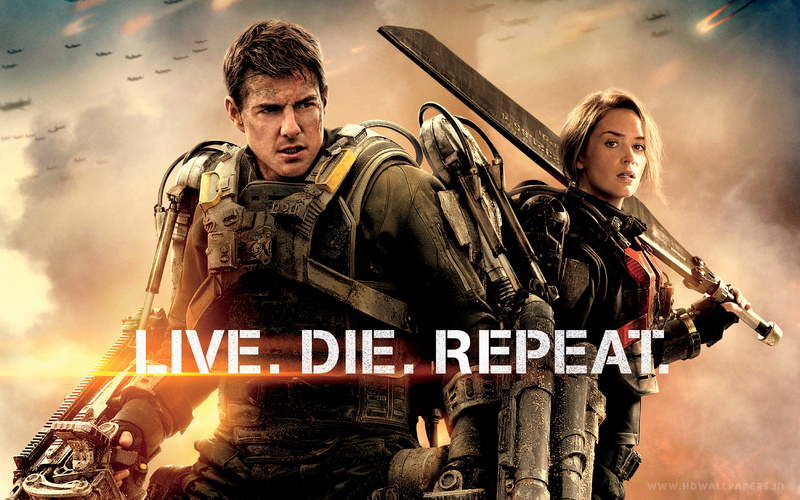 Tom Cruise made for a fun transition and character arc. The other actors did well, but most of their characters had rather shallow character development. Some of the characters refusing to adapt/change as the movie went on was somewhat irritating. Then again, it’s an action movie, the hero is supposed to do the heavy lifting. The comedic elements were some of the most memorable sequences, for me. I highly recommend watching it. Also, keep an eye out for the duct tape, they made excellent use of it. There’s a new review of The Fallen Race available at Shiny Book Review from author Jason Cordova. Check it out here. As far as my own writing, I’m complete with edits and rewrites of Echo of the High Kings and currently working on The Shattered Empire, the sequel to The Fallen Race. As I work I’ll post my writing progress on my FB page, so if you’d like to see my progress you can follow me there. Link should be down on the left side of the page, or here. The Shattered Empire picks up where The Fallen Race left off and it will be available in fall of 2014. That’s all, for now, but check back over the next few days and I’ll continue with the world-building notes, for those of you interested.